Doing a lot of soul searching lately? Want to march to the beat of your own drum? 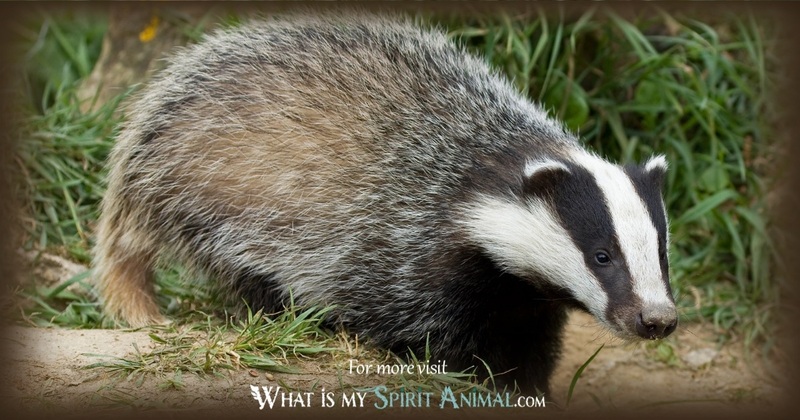 Badger as a Spirit, Totem, and Power Animal can help! 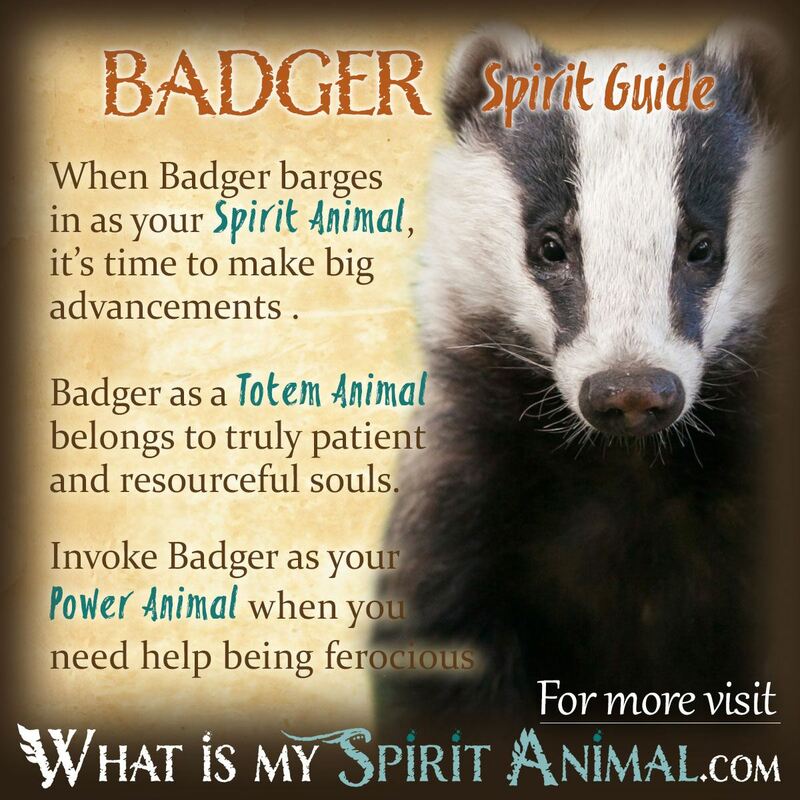 Badger helps you dig down into the psyche to reveal your soul’s mission! 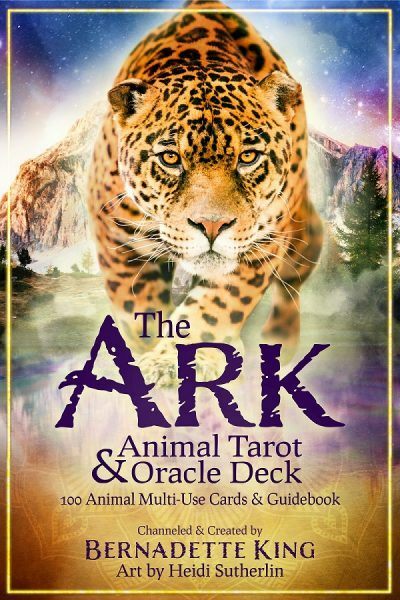 Delve deeply in Badger symbolism and meaning to find out how this animal spirit guide can help you ground, get organized, and uncover your individuality. Badgers appear rather plump, but this is not fat. Rather, it’s muscle mass and the creature is formidable if need be. Combine this with a powerful jaw, and you have a creature that can stand its ground when necessary. Mind you, Badger Spirit would rather find safety than fight, but if they’re cornered, they know their assets and use them effectively; this makes Badger a powerful ally when you are developing new attributes and endeavoring to increase self-sufficiency. The Badger’s jaw speaks of something else – namely Bardic traditions. Storytelling has long been the way in which history and tradition were passed from generation to generation. Badger asks us: What are your stories? What is written in the book of your soul? In the wild, Badgers are burrowing animals. They dig deep looking for roots and herbs; this translates into Badger as the revealer of things – somewhat of a treasure hunter. He is close to the earth and a talented shaman/healer in his own right. Those on the path of Light Work and energetic healing would do well in seeking Badger medicine. Generally speaking, Badger is a creature of patience and fortitude. He has a keen mind and prophetic aptitude. This gift from Badger is special because it sees forward while remaining firmly footed in the here-and-now of things. Spiritually this is a marvelous balance. Badger comes across gruffly. The energy here is not angry, however, but rather one of high expectations. Badger challenges us to dig deep into the well of self and find the riches that await. Yes, this takes time. Patience is a virtue that Badger has in spades along with a healthy dose of self-reliance. As an animal associated with the Earth element, Badger offers strong grounding. When you want to put down roots, Badger is the go-to spirit animal. Be aware that Badger is “business first” regarding approaching a project, but that outlook does not strip you of your personal touch on things. Other key characteristics of Badger Spirit include enthusiasm, determination, focus, safety, protection, resolve, strategic planning, and assurance. When Badger scratches into your life, it’s often a sign that you are trying to follow a path or accept a challenge for which you are unprepared. You are a unique spiritual being and have your own purpose in this universe. Spirituality is not a “keep up with the Jones’ “ proposition. Walk to the beat of your inner drummer and stay real. If you have been laying low for a while, Badger’s appearance tells you it’s ok to come out now. Take your place in the spotlight. Don’t be shy – just go for it. 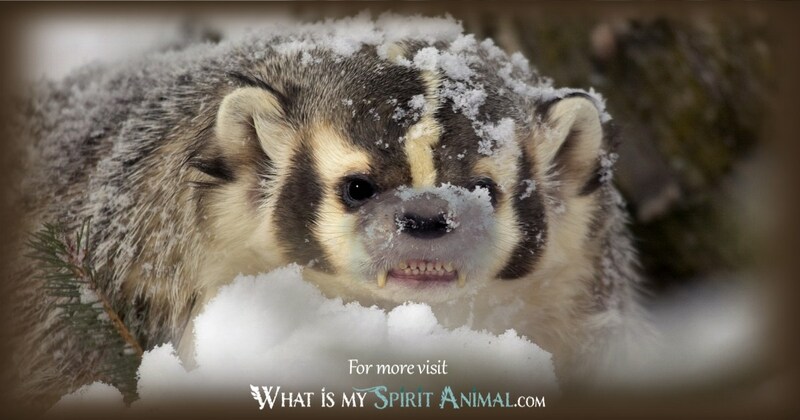 A third message that Badger Spirit Animal bears is one of grounding. Flights of fancy are fine, but at some point, you have to land. Come down to earth and focus on your goals. Put that cornerstone in place and start working. Throughout this process, Badger encourages self-reliance and individuality. Claim your space and protect it with due diligence. Badger Medicine has an aggressive side that’s well metered. Badger teaches you when to fight and when to step back and heal. Additionally, Badger may have appeared as a teacher of holistic healing arts. People born with a Badger Totem can organize anything down to the last-minute detail. You dislike clutter and love a tight schedule. Time management is your middle name. Superficially Badger people appear unalarming. However, they have an extraordinarily strong core; this becomes apparent when they speak truth. There is no buttering up here – rather, cutting through the BS right to the heart of the matter. That can be harsh, but it can also be very positive, supportive and uplifting. Badger people have a strong drive to protect what they cherish. Do not cross a line with their family or friends; this is when Badger’s teeth come out ready for a fight. The Badger Totem brings with it a healthy amount of magical wisdom and interest. You may find yourself particularly drawn to the Fey or other plant spirits, learning to work with them cooperatively. Also, if you’ve ever considered gardening – go for it. Plants love you! Finally, if you walk with Badger, you are naturally thrifty and somewhat of a loner. When you want clarity, seek solace in nature. Take a walk or meditate under a tree. It’s very important for Badger to listen to their inner voice, as well as that of the Great Spirit, and they cannot do this in a social setting. There are many valid reasons for seeking out Badger energy. For people who consider themselves shy or easily frightened Badger Medicine instills strength, self-reliance and a fresh, bold outlook. Badger helps you be ready for everything, although sometimes his approach to a situation is a tad unconventional. If you’re in a rut, you won’t stay there long when working with Badger. Another way that Badger energy proves supportive is when bonding with others. Badgers don’t see well, so they mark those of their tribe with a personal scent, so they always recognize those family members. Knowing whom to call family and keeping them close is a remarkable gift. If you are a clutter bug, calling on Badger opens the wonderful world of organization into your life. It’s time to deep clean your life and put things back in order. Don’t procrastinate. Time is valuable. Stay on task, finish what you start with Badger beside you. 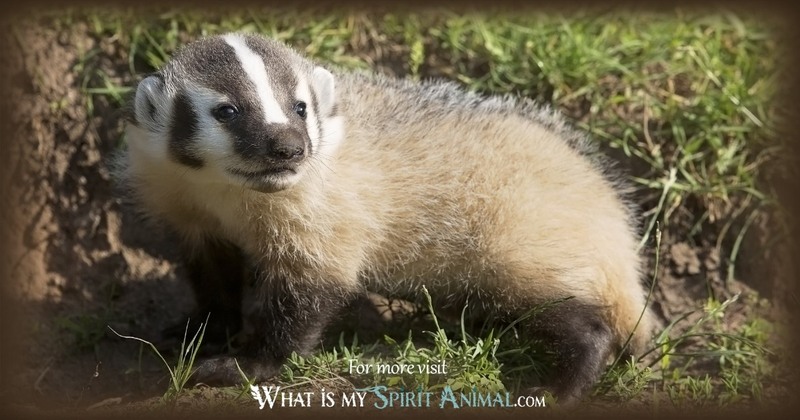 People seeking out their lineage may find a Badger Power Animal very helpful. He digs and digs until bits and pieces of information appear. You cannot hide much from Badger especially when he’s on a mission. Other matters that Badger Energy helps with include independence, resourcefulness, rising to challenges, problem-solving, leading by example and self-mastery. Native Americans regard finding Badger tracks a sign of good luck. Specifically, Badger’s message says we are full of potential and creativity. We just have to activate it! Native people regard Badger Spirit as persistent. Those having trouble tying up loose ends often encounter a Badger Spirit Animal who works on this problem. Badger also comes along to people who don’t have much willpower in themselves, offering independence and refreshed resolve. Lakota tradition regards the Badger as an Earth Animal. Native American stories depict Badger as hard-working, protective, and careful. The Pueblo say that Badger is the guardian of the Southern quarter of creation and is associated with the color red. Zunis see Badger as lucky and a healing animal, which is why they often carry stone fetishes of this creature. Tribes that have Badgers as clan animals include the Hopi and the Pueblo. Broc is the word for Badger among the Celts, who respect him for his bravery and unyielding resolve. A Welsh story talks of a Badger dream guide to help Pwyll court Rhiannon. Some parts of Celtic superstition regard Badger as bad luck. Hearing one cry foretells of death or disaster. Having one cross your path isn’t good unless they walk across a path you just left. Some gambling groups trusted Badger for good fortune at the card table. For this purpose, wear a Badger tooth. In folk medicine, the fat of a Badger became a rheumatism rub. The Picts held Badger in high regard. So much was the case that their wise men bore the title Brocan. Badger’s hair was used as an amulet against witchcraft. When you see a healthy Badger in your dreams, it portends that you are about to achieve some victory or a turnaround of ill fortune. Aggressive Badgers counsel that perhaps you have been badgering someone to the point of aggravation and harm. Badgers in the dreamscape living underground speak of the subconscious and unseen worlds. It acts as a reminder that things are not always as they seem on the surface. 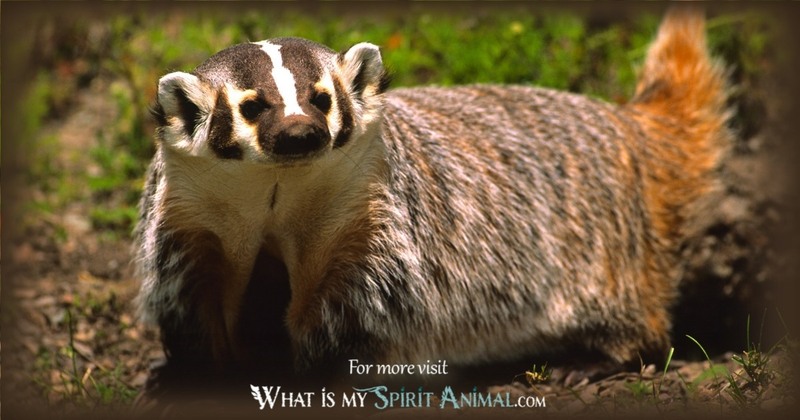 Learn more about Badger Spirit in dreams by reading Dreams About Badgers on WhatIsMySpiritAnimal.com! There isn’t a lot written about Badger in the folklore of China and Japan. Feng Shui considers it a creature of great joy, perhaps because Badger, when written, becomes a homonym for gladness.